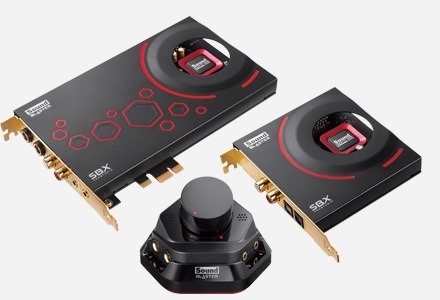 Thanks to the built-in SB-Axx1 audio processor of the Sound Blaster EVO Zx headset, you get vastly improved audio delivered to your ears in real-time. Be amazed by what you hear, even if it's from the most compressed sources. 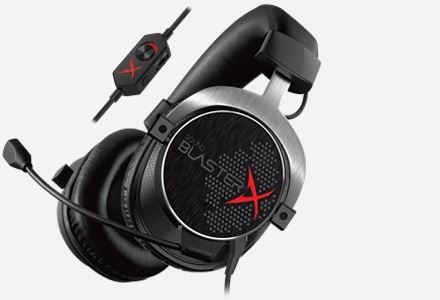 Sound Blaster EVO Zx's FullSpectrum 40mm audio drivers are capable of reproducing the full audible range of the audio spectrum, so you won't miss a beat. *Connect your EVO headset via USB to your PC and install Sound Blaster EVO Control Panel to enjoy virtual 7.1 surround sound. Virtual surround sound is supported for Mac. Communicate with confidence and be understood. 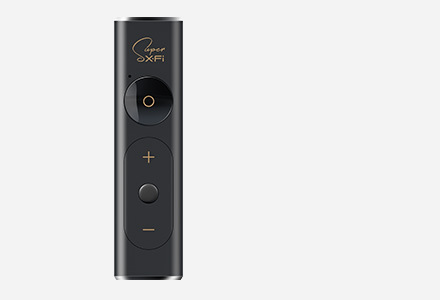 The integrated dual beamforming microphones work in tandem with the headset's advanced CrystalVoice technologies to make sure you're always heard clearly. Ambient noise and echoes picked up by the microphones are reduced drastically. Likewise, unwanted noise from incoming calls is also being eliminated. CrystalVoice creates an acoustic zone that picks up only your voice and nothing else, so you can still be heard with amazing clarity in noisy environments. Remember the occasions when you tried in vain to instruct some voice-activated application to perform a task? With high-quality voice pickup and all the voice technologies packed into your headset, your commands can be transmitted accurately all the time. Use Sound Blaster EVO Zx as a VoIP headset while connected to your PC or Mac®. Use the included analog cable for direct connection to your portable media player, or swap it with your own cable of a different length. Wish you could change your audio settings while watching a movie or in a game? 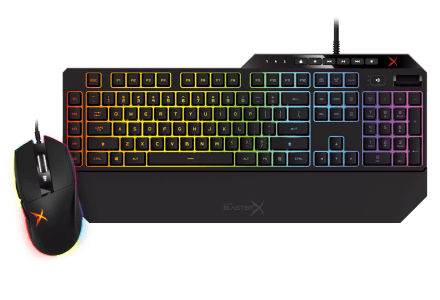 With Sound Blaster EVO Zx, you can. 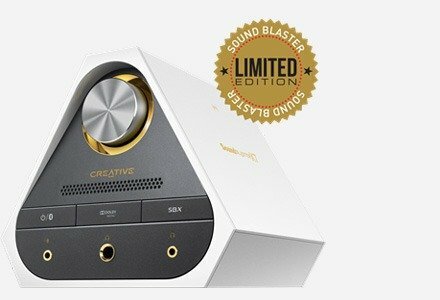 Togerther with Bluetooth multi-point functionality, you can pair your smart device, load up Sound Blaster Central, and perform EQ settings or audio enhancement while watching a movie or gaming. It's like having a remote control for your headset! Welcome the arrival of the latest generation of console gaming! Get yourself ready to experience some unparalleled realistic gaming action by gearing up with the Sound Blaster EVO Zx, compatible with the new Playstation®4 gaming console via USB. Between the beefy FullSpectrum™ 40mm drivers and the on-board audio processor, audio sounds rich and full, with a wide dynamic range composed of clear highs and thundering lows – with no sacrifices anywhere in between. 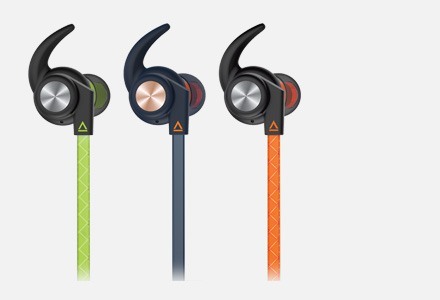 Audio quality on these headphones is commendable, offering a rich and powerful sound that is just as comfortable with music as it is with an open fragging session on Steam. 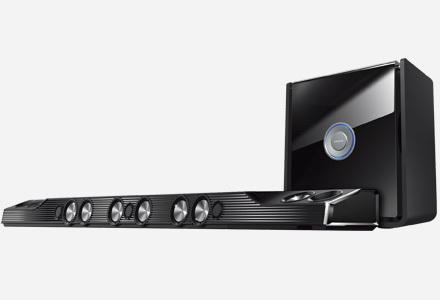 Gaming and movies benefit well from the virtual 7.1 surround sound as the EVO Zx provides thundering bass and crystal clear mids and highs with good directional prowess. Paired with my iPod the sound reproduction – in terms of music – is incredibly well-rounded. The bass feels meaty, with plenty of earthy tones; whilst the treble manages to convey a real crispness and clarity, undoubtedly because of the 40mm audio drivers which are capable of reproducing the full audible range of the audio spectrum. Very impressed with sound quality. Bought this for gaming and listening to music - really useful.